The Twilight League Championship is the culminating event of the SCGA Twilight Leagues Season, inviting winning teams and league leaders from across SoCal to compete against one another for regional bragging rights. 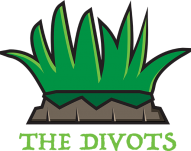 This year, our champions squared off at Goose Creek on August 26, with The Divots from Brookside GC taking home the crown for 2018. SCGA Golf Leagues are comprised of three to five teams, depending on league size. Teams within the League will compete against each other on a weekly basis. Every player in the League is welcome to compete each week; however, they are not required to do so. Players receive weekly emails from which they easily indicate their weekly attendance and select their tee time / group. Each 9-hole SCGA Golf League’s schedule is available on the league homepage. Schedules vary at each site, however, each league will run for 8 weeks of play. Players may pay for each week of green fess directly to the course, or pay for all 8 weeks in advance at a serious discount! The team score will be the aggregate of the team’s top 3-5 point winners (depending on team sizes) that week. All players in SCGA Golf Leagues will compete equitably through the USGA Handicap System. All players are encouraged to have at least five 18-hole scores in their scoring file 24 hours in advance of week one. Any player without five scores in their scoring file will play to a Course Handicap of 0 until they have an established Handicap Index. All players will play to their active Handicap Index each week. 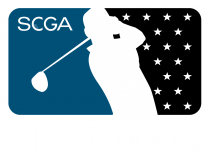 Players from winnings teams will be invited to participate in the 2018 SCGA Twilight League Championship on August 26 at Goose Creek GC.